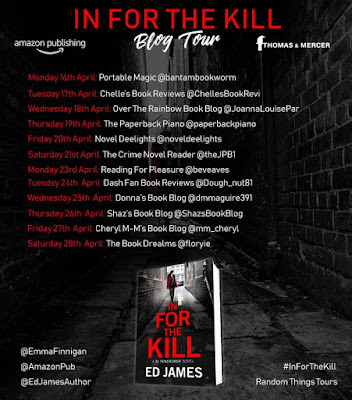 Today I am pleased to be able to participate in the blog tour for In For The Kill by Ed James. My thanks go to Anne Cater. Today on my blog, I have a guest post for you from Ed James who will tell us all about how he came up with the idea for DI Simon Fenchurch. Hope your all sitting comfortably. 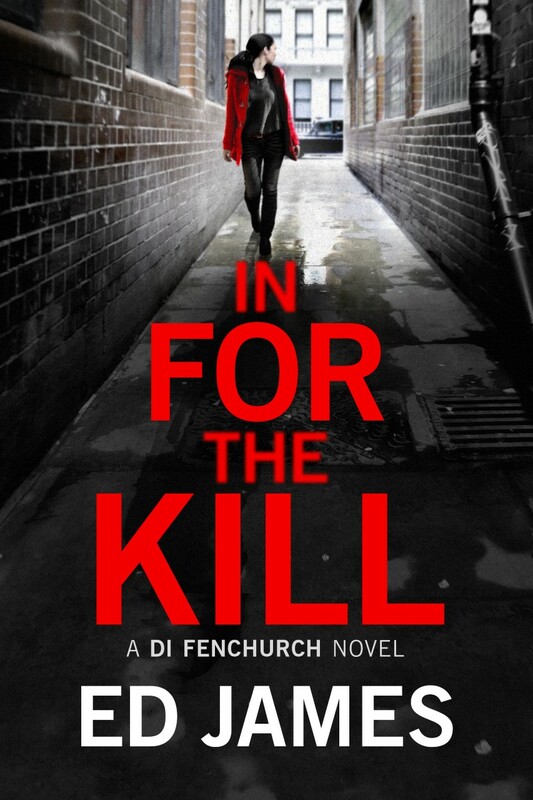 With Fenchurch, I decided to tackle the clichés head on. He’s a DI, so he delegates rather does all the tedious stuff. Made it much easier to write, I can assure you. I’d been reading a lot of film theory, which meant giving him a back story that gave a personal involvement in the case. 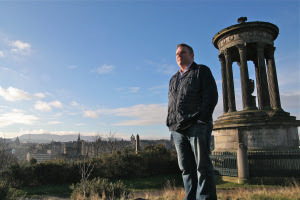 It’s hard to do for a series police procedural, as it’s someone doing a job. So I made him separated from his wife after the tragedy of their daughter being kidnapped. Fenchurch became obsessed with it, causing their emotional distance and break up. And Fenchurch spends his nights hunting for his daughter, but he doesn’t know what he’ll do if he finds her. In the first novel, THE HOPE THAT KILLS, the victim could easily be his daughter. Even though she isn’t, he can empathise with her family, which drives him on to make a horrific discovery. It doesn’t close any doors for him — that would happen later — but it let me and my readers get to know him and what makes him tick. And it didn’t have any vampires. Now after reading that, I am so glad that he didn’t continue with vampires, as I am not a fan of books with vampires in. That’s just my personal choice. I am also looking forward to starting this book at some stage in the future. Watch this space for my review then. 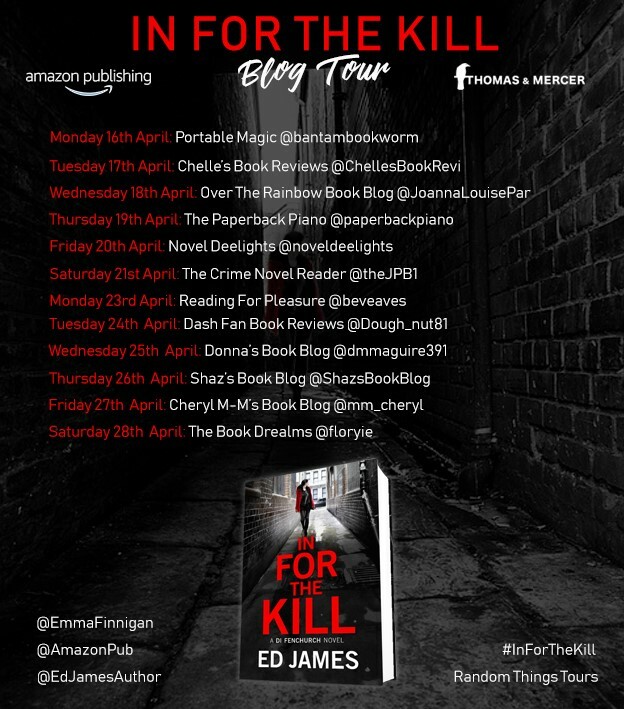 My thanks to Ed James for coming on my blog with his guest post, Emma Finnigan, Amazon Publishing and also Anne Cater @ #RandomThingsTours for my spot on the blog tour.